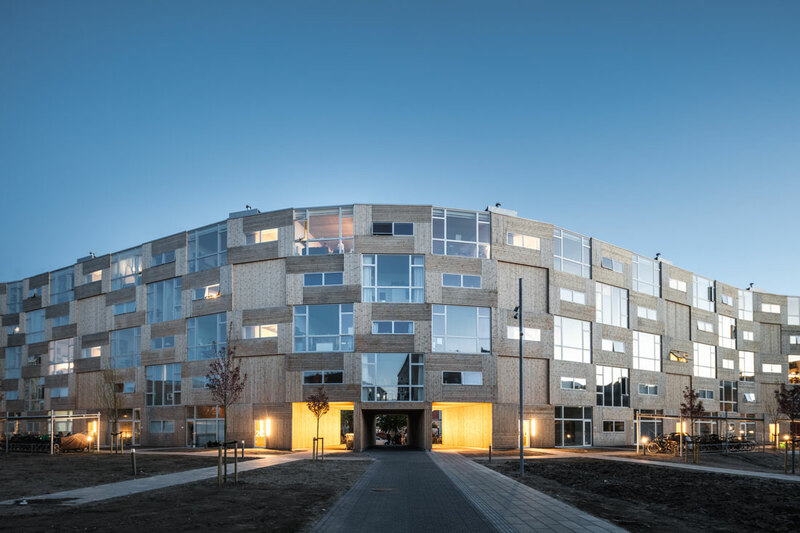 BIG fulfills the “Homes for All” mission for the non-profit affordable housing association Lejerbo with the 6,800 m2 winding wall in Copenhagen’s multicultural northwest area. The building offers 66 new homes to low-income citizens featuring unprecedented 3.5 m ceilings, generous floor-to-ceiling windows and outdoor terraces, realized on a strict budget. 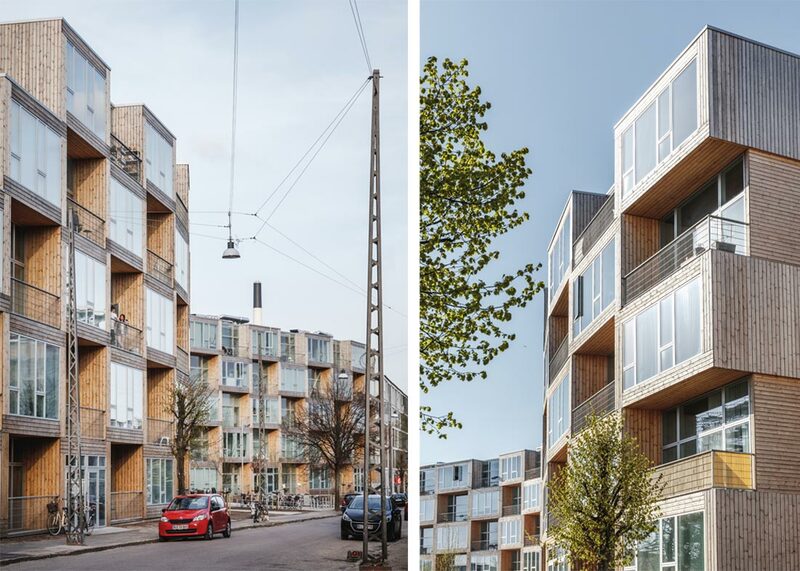 Named after its address, Dortheavej in the northwest part of Copenhagen, the five-story building winds through the area characterized by car repair shops, storage and industrial buildings from the 1930s-50s. 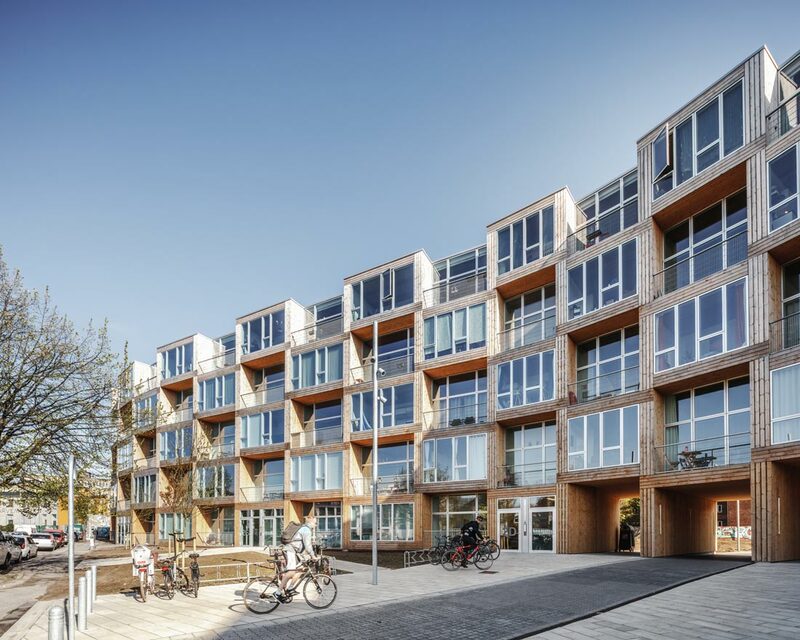 BIG was commissioned to design Dortheavej in 2013 by the Danish non-profit affordable housing association Lejerbo, whose mission was drafted by the Danish urban space designer Jan Gehl. BIG was asked to create much-needed public space in the area, while keeping the pedestrian passageways open and the adjacent green space untouched. The housing modules repeat along the curve and are stacked to the height of the surrounding buildings. 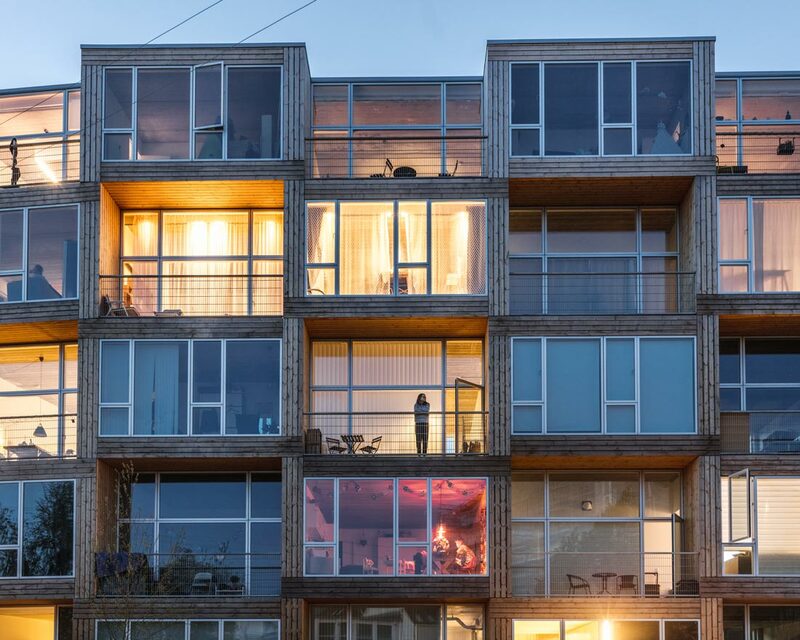 The stacking creates additional space for each apartment to have a small terrace, providing a setting for healthy, sustainable living. On the sunny south side, balconies retract and add depth to the façade while on the northern side, the façade is even. Long wooden planks cover the façade on all sides, highlighting the modules and alternating to accentuate the checkered pattern. 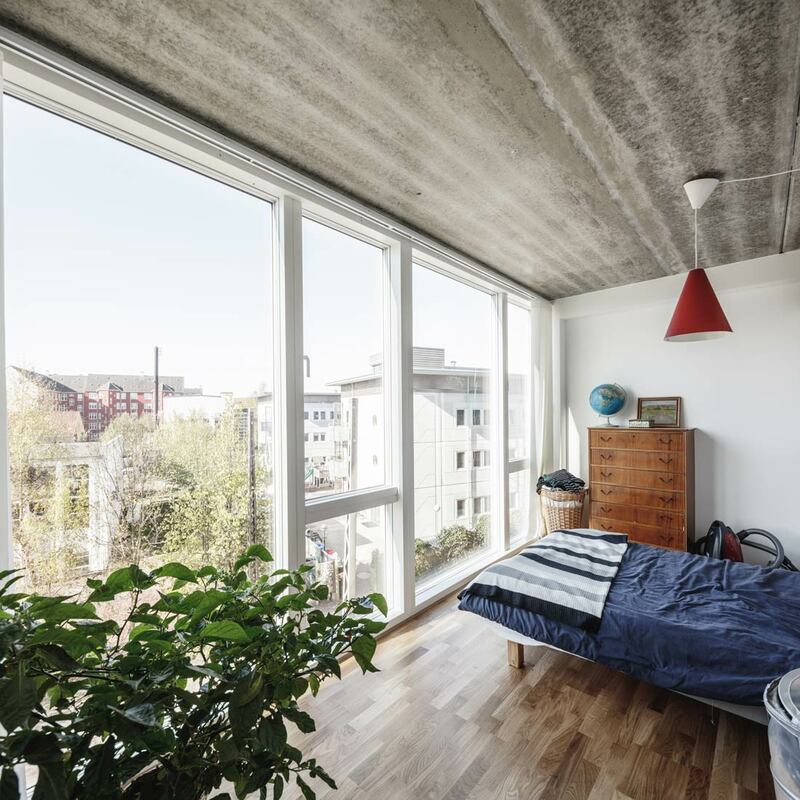 Large floor-to-ceiling windows in the apartments allow lots of daylight into the units as well as outside views onto the green courtyard and the surrounding neighborhood. 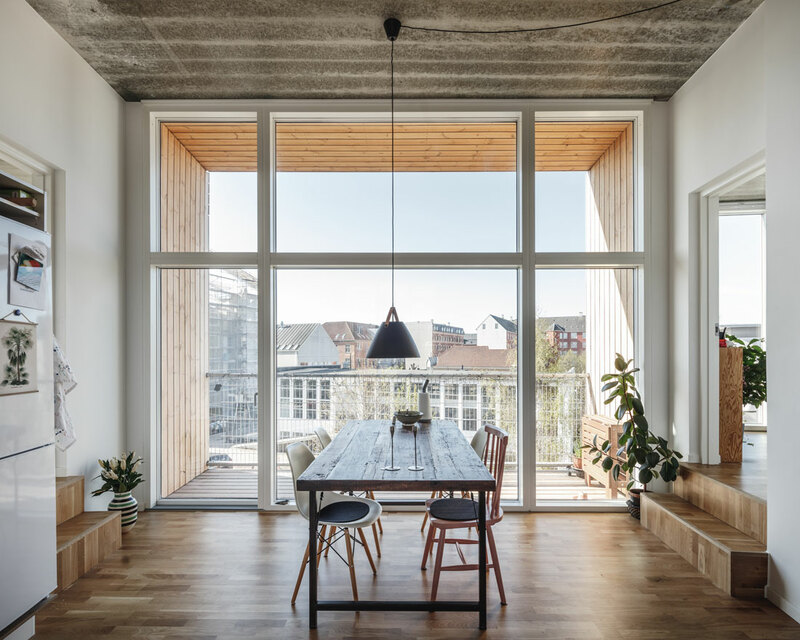 The size of the apartments ranges from 60 to 115 m2 and all the materials are kept very simple, with wood and concrete in light colors dominating inside and out. 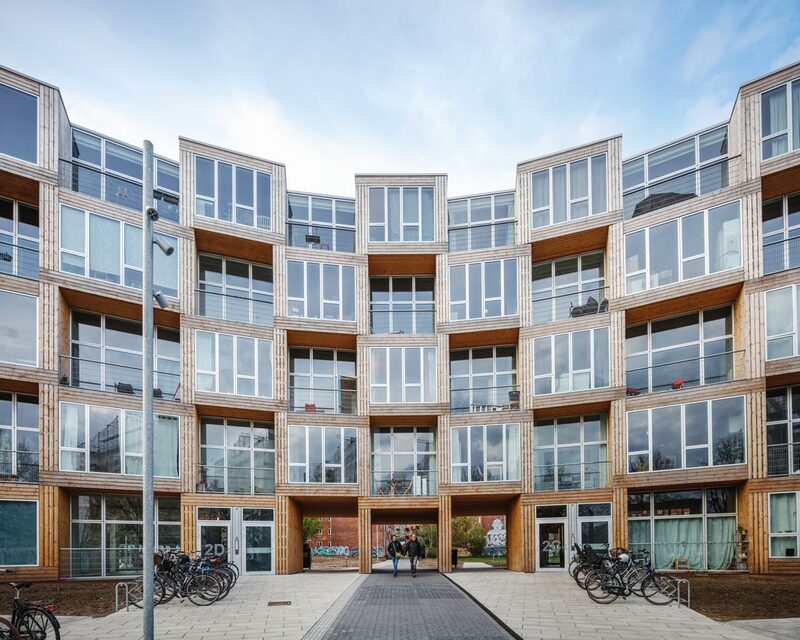 The north-facing façade looks towards an enclosed green courtyard, which residents of Dortheavej and the neighboring buildings can use for recreational activities. 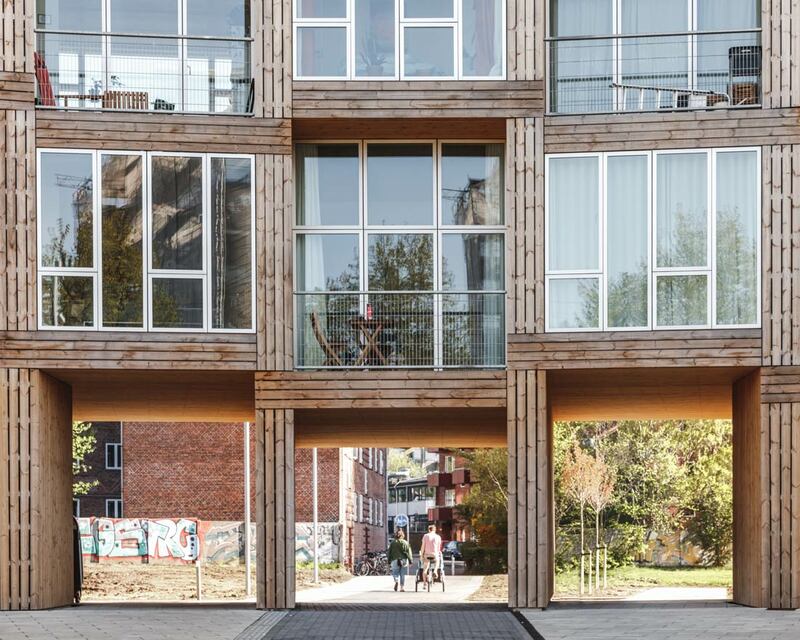 In the beginning of 2018, BIG and Lejerbo were honored by the Danish Association of Architects with the Lille Arne Award for prioritizing the spatial qualities of the residences and the building strategy on a strict affordable housing budget.